Joe heads to St. Catharines to try some Vietnamese BBQ cooked right on the table at Lang Restaurant! Lang’s gives the experience of Authentic Vietnamese Food here in St.Catherines. Vietnam cuisine is unique, and besides the different spices and flavours, the methods of cooking are unique as well. 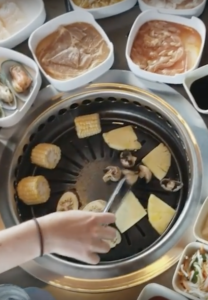 For dinner, there can be a grill in the middle of the table or a boiling pot. Whether you’re barbecuing your meal on a fire or cooking your food in the aromatic broth, you’ll get the full Vietnamese experience at Lang. Vietnamese BBQ Right At Your Table! The Grill Menu consists of marinated meats that you would find in a typical Vietnamese home. Recipes consist of spices and flavours that are used in Vietnam. The Concept of Hotpot is simple: Boiling Soup + Thinly Sliced Meat & Seafood + Vegetables .. Add everything together, let the broth cook your ingredients and enjoy! See Lang’s full menu and hours here. Together with the lovely Robyn (Joe’s fiancee) the couple enter Lang’s. So much to choose from it can be a bit overwhelming. Off to the fresh buffet to pick what will eventually be dinner, after we cook it at our table of course. A skilled server makes dipping sauces fresh to order. Spring rolls to start, this is going to be a really fun time. After all our choices are ordered off a menu sheet, they quickly come to the table. Throw it all on the grill. It’s a bit like a Vietnamese fondue, but no cheese. You grill everything right in the centre of your table. Some beef, seafood and seasonal veggies are all top pics. The food is absolutely fantastic. What a great time. So much fun and would be an awesome night out with a big group of friends. It’s perfect to just relax, cook good food and have great conversation. 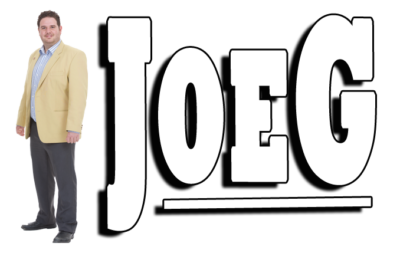 Joe heads to World Famous Sunny Long Beach for some fresh sea food at one of his favorite restaurants. To check out the most popular Must See Monday yet click here!